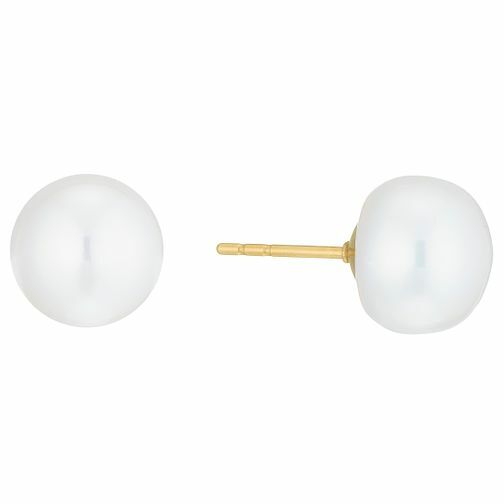 Cultured pearls form the shimmering centrepiece of these 9ct gold stud earrings. 9ct Yellow Gold Cultured Freshwater Pearl Stud Earrings is rated 5.0 out of 5 by 1. Rated 5 out of 5 by Anonymous from Stunning and elegant. I'd been searching for some large pearl studs for months and these appeared just in time to treat myself for my birthday. They're simple yet very classy - exactly what I'd been looking for.